What is the first thing you do when an emergency arise? Regularly when flooding or fire emergency are the main issues you run, and this is not bad, it’s a natural reaction of human being. However and in order to minimize the pressure that comes under difficult circumstances, it’s very important to have an emergency number ready to address such as disaster. Do not wait for an emergency to happen to take action! When in needed of Residential and Commercial Restoration or Cleaning Services call the experts. SERVPRO of Martin County is Faster to Any Size Disaster, and are available to assist you with your emergency with its Highly Trained Restoration Technicians and equipment covering 24 hours of emergency services. 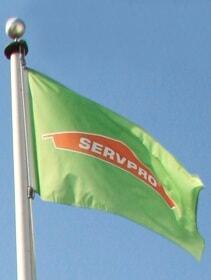 Customer satisfaction is our goal, and with over 1,700 U.S. and Canadian Franchise locations, SERVPRO is strategically positioned to be in your community in a fast way, no matter the size of the emergency. Because we have the resources and expertise to give you outstanding results while reducing the interruption to your property.